Asthma is a chronic inflammatory lung disease that results in airflow limitation, hyperreactivity, and airway remodeling. There is strong evidence that an imbalance between the reducing and oxidizing systems lead more oxidative state in asthma. Endogenous and exogenous reactive oxygen species and reactive nitrogen species play a major role in the airway inflammation and cause of severe pathogenesis. Atmospheric pollution, dietary changes, changes in allergen load, improvements in health and hygiene, and lifestyle changes have all been proposed for asthma. It has been observed, poor antioxidant rich nutrition and lack of Vitamin D are also a common cause for pathogenesis of asthma. Vitamin D as lung immunomodulator and Vitamins A, C, E as antioxidants improves the complications of inflamed airflow in asthma. 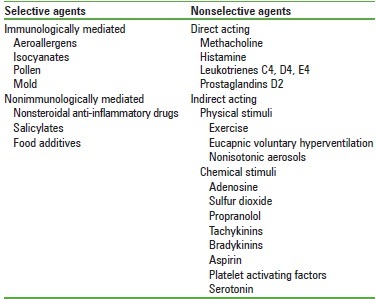 In this review study, we will summarize the current knowledge and discuss the current pharmacological strategies regarding the role of antioxidant activity and Vitamin D in favor to regulate and prognose to inflammatory asthma. Background: Bronchial challenge is almost confirmatory test for airway reactivity, a significant test for confirming asthma. Methodology: Already established methodology for the test was used by the direct method using graded concentrations of histamine and using FEV1 as parameter. 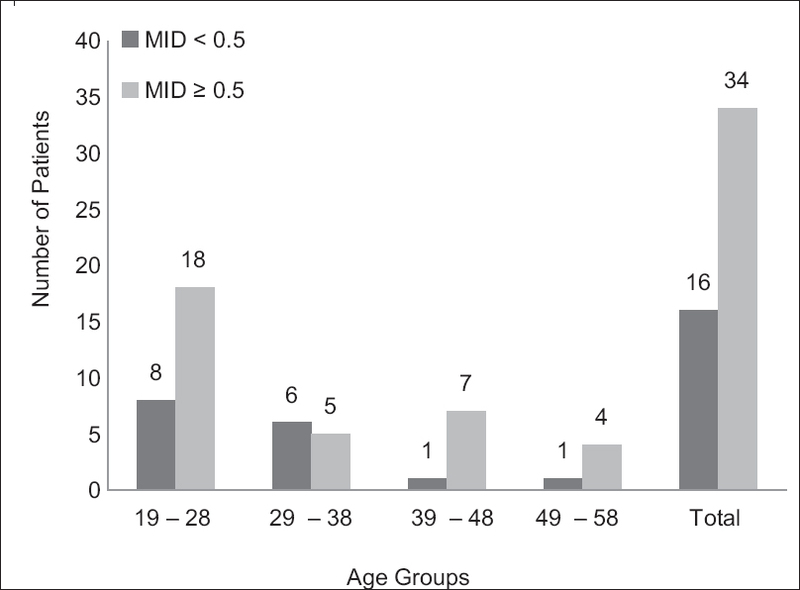 Results: Fifty mild to moderate asthmatic patients were assessed for airway hyper-responsiveness The youngest was 18 years, the oldest 51 years, the mean age was 34 years. Forty-four percent were males and 56% were females. Bronchial challenge tests were positive in 90% of mild to moderate asthmatic patients. Conclusion: There was a significant linear correlation of PC20 levels with forced expiratory volume in the first second. There was no significant correlation of PC20 levels with serum IgE levels. Background: Atopy is the major factor predisposing for the development of allergic airway diseases. Immunoglobulin E (IgE) levels of children having atopy are elevated as compared with nonatopic children. Serum total IgE levels can be utilized as a surrogate marker for the presence of atopy. Objective: To study the presence of atopy by estimation of serum IgE levels in children having allergic rhinitis and to determine the proportion of concomitant allergic conditions in these children. Methods: From May 2012 to April 2013, 134 children aged 6-14 years having allergic rhinitis as diagnosed on the basis of their response to the International Study of Asthma and Allergies in Childhood (ISAAC) questionnaire were included in the study. Children were screened for concomitant atopic disorders, viz., asthma, atopic eczema, and conjunctivitis on the basis of their response to ISAAC questionnaire. Total serum IgE levels were determined for all subjects. Results: Total IgE levels of study subjects were found to be increased in 114 (85.07%) out of 134 children (cut-off value = 100 IU/mL). Mean serum IgE of the study subjects was 312.18 (95% confidence interval, 253.1-385.1) IU/mL. Children having persistent allergic rhinitis had higher mean IgE levels of 392.18 IU/mL as compared to 199.08 IU/mL (P < 0.01) for children having intermittent allergic rhinitis. One hundred and twenty-two (91.0%) children had concomitant asthma. 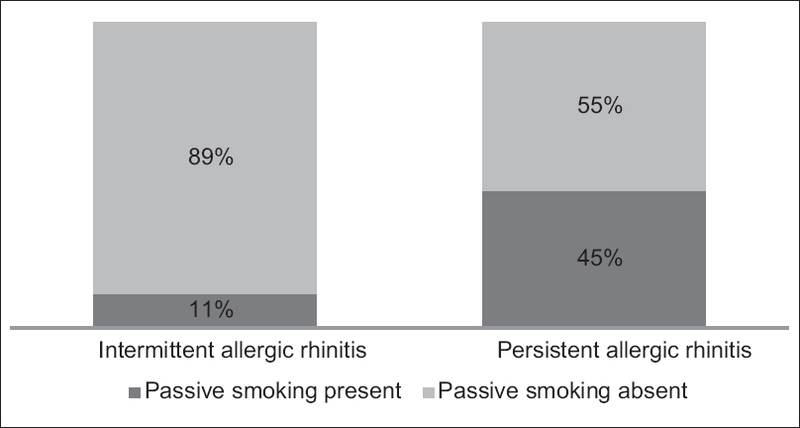 Persistent allergic rhinitis was found to be significantly associated with family history of smoking (P < 0.01) and family history of atopy (P = 0.02). Conclusion: Significant number of children having allergic rhinitis had increased levels of serum IgE. Hence, total serum IgE can be considered as a supportive and suggestive indicator of atopy in children presenting with allergic rhinitis. Introduction: Prevalence of allergic rhinitis (AR) in India ranges from 10% to 15%. AR significantly affects the quality of life (QOL). This study was designed with an objective to assess the impact of surgery and 3 months of intranasal corticosteroids therapy on the QOL of patients with AR. Materials and Methods: A before and after comparison cross-sectional study was conducted between April 2012 and December 2013. A total of fifty consecutive patients in the age group of 19-59 years suffering from moderate-severe AR presenting at KKR ENT Hospital and Research Institute were included in the study after taking their consent. Individuals with contraindications for the surgery or intranasal corticosteroid therapy were excluded from the study. QOL was assessed using the mini rhinoconjunctivitis QOL questionnaire before the surgery and 3 months after starting corticosteroid therapy following the surgery. The study was approved by the Institutional Ethical and Scientific Committee. Absolute eosinophil count (AEC) and QOL scores were used to measure the impact. Descriptive statistics and paired t-tests were used to analyze the data and lend statistical support. Results: Mean AEC reduced from 517.66 (±74.42) to 322.70 (±54.68) after surgery and 3 months of intranasal corticosteroid therapy, and this reduction was statistically significant (P < 0.001). Mean QOL scores reduced from 2.624 (±0.445) to 2.031 (±0.386) after surgery and 3 months of intranasal corticosteroid therapy, and this reduction was statistically significant (P < 0.001). Conclusions: Within 3 months after the surgery and intranasal corticosteroid therapy, the mean AEC as well as the mean QOL scores reduced significantly indicating a reduction in the allergic reaction and an improvement in the QOL of patients suffering from AR. 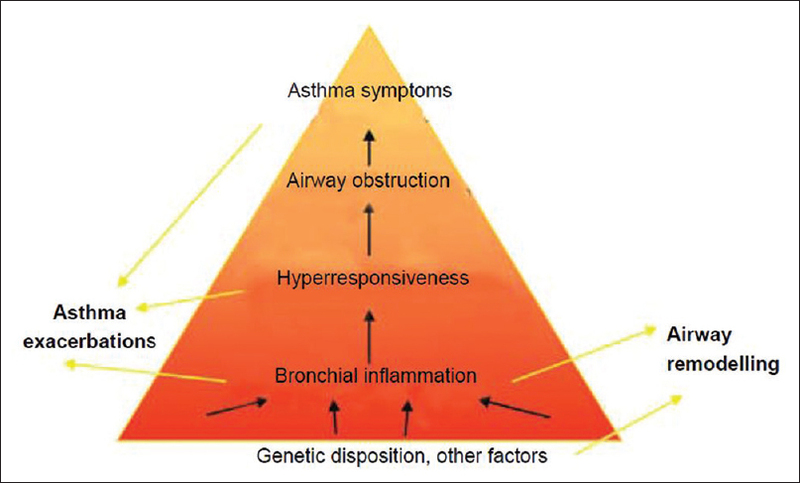 Introduction: The concept of asthma affecting the old age people has been universally denied in past. Therefore, rather than suspecting asthma in old age patients, it often gets misdiagnosed as chronic obstructive pulmonary disease (COPD), leading to sub-optimal management of disease. Considering the fact that only one in five life-long smokers ever develop COPD, we must not blindly diagnose it in elderly smokers without going through clinical evaluation. Spirometry can be helpful in differentiating asthma; however, demonstration of small degree of reversibility to bronchodilators alone does not distinguish asthma. Comorbidities in old age or the drugs taken to treat them may exacerbate asthma. Conversely, bronchodilators and corticosteroids used to treat asthma often worsen these co-morbid conditions, such as osteoporosis, diabetes mellitus, and cardiac arrhythmias - making our regimens even narrower. Objectives: To highlight the misdiagnosis of asthma in old age. Materials and Methods: A prospective study was done involving 350 clinically diagnosed obstructive airway diseases (OADs) patients at SBKS Medical Institute and Research Center and their evaluation was done. Results: Out of 350 patients clinically appearing as OAD, 292 had obstructive pattern in pulmonary function tests; from which 100 were found to be asthmatic and 192 were of COPD. 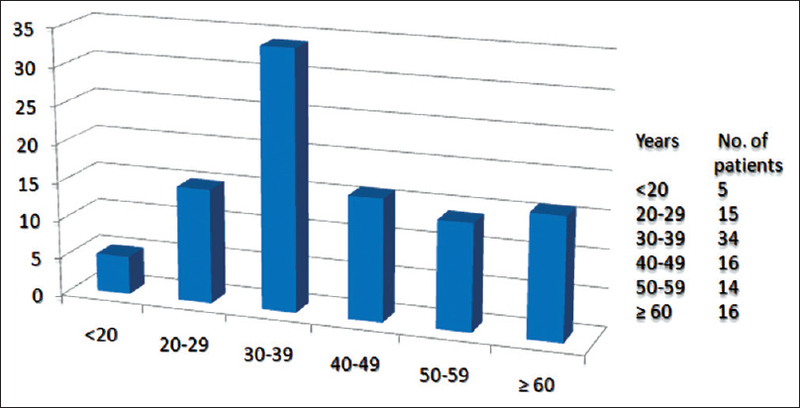 Out of these 100 diagnosed asthma patients, 16 were of age more than 60 years, from which five were previously treated as COPD. Conclusion: There is considerable prevalence of asthma in old age too, which, if misdiagnosed, can lead to sub-optimal treatment of the asthma. The most common symptom of aspergilloma is hemoptysis. Dry cough is a rare symptom of aspergilloma. It is estimated that 10-20% of tubercular-healed cavities are colonized by fungus. The case report discusses persistent dry cough in a 30-year-old male. 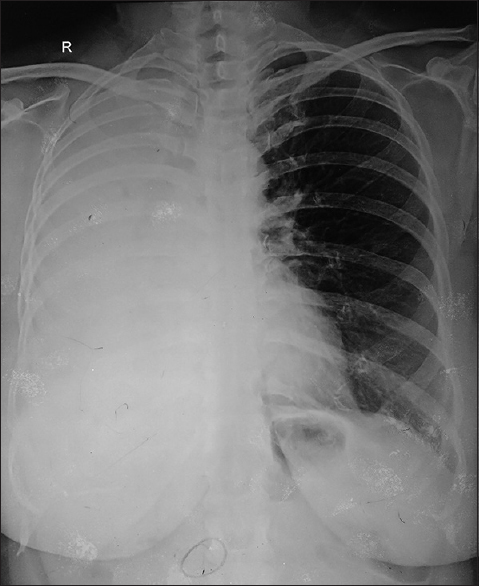 Radiograph of the chest revealed left upper zone infiltrates while contrast-enhanced computed tomography of the chest revealed classical Monad sign suggestive of aspergilloma. Diagnosis was confirmed by anti-Aspergillus antibodies (100 IU/ml) and growth of Aspergillus fumigatus in sputum fungal culture. Allergic bronchopulmonary aspergillosis (ABPA) is a lung disease caused by hypersensitivity reaction to antigens of Aspergillus species of which Aspergillus fumigatus is the most common culprit. ABPA is most commonly diagnosed in patients with a history of uncontrolled bronchial asthma despite optimum treatment. ABPA is rarely diagnosed in nonasthmatics. Diverse radiological appearances are known in ABPA patients; however, whole lung collapse has been rarely reported. We report a case of ABPA in a 62-year-old female with no background history of asthma, initially suspected to have bronchogenic carcinoma of the right lung. After ruling out malignancy, the diagnosis of ABPA was established based on Rosenberg-Patterson criteria. Treatment with oral steroids for 6 months in tapering doses lead to clinical and radiological improvement and decrease in IgE levels. This case is unique as ABPA masquerading as malignancy causing a lung collapse in a nonasthmatic is a very rare presentation. Systemic lupus erythematosus (SLE) is an autoimmune disease in which organs and cells undergo damage mediated by tissue-binding autoantibodies and immune complexes. In earlier times, the diagnosis of SLE included the lupus erythematosus (LE) cell assay. Though the LE cell test has now been declared obsolete, its presence carries importance especially when one finds LE cells in vivo. 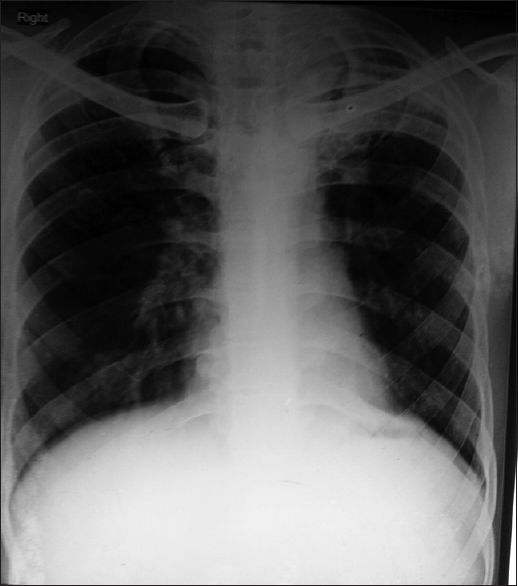 We report an unusual case of SLE in a 27-year-old female who presented with acute shortness of breath, fever, and cough. 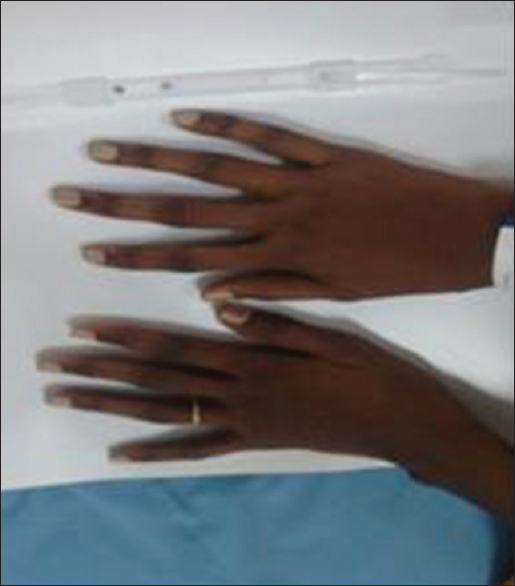 On initial outpatient basis investigations, the patient was detected with anemia, bilateral pleural effusion, synovitis, and juxta-articular swelling of the soft tissues. Her chest radiograph effusion was tapped and sent to the cytopathology laboratory. The cytological examination of the pleural fluid revealed numerous LE cells that prompted the diagnosis of SLE. Autoimmune serology techniques such as antinuclear antibody staining have replaced the LE cell assay. However, as presented in this report and found in a review of the literature, the in vivo finding of LE cells by cytopathology can provide an important clue to the diagnosis of SLE. This case is interesting because although pleural effusion is common, very rarely LE Cells are encountered in vivo. There are very few case reports of SLE diagnosed in a cytopathology laboratory. Moreover, our finding of LE cells in the pleural fluid of the patient led to swift diagnosis, helped rule out the differential diagnosis of rheumatoid arthritis and prompted the immediate initiation of treatment. Furthermore, our case highlights the fact that no matter the advances in diagnostic testing methods, practitioners must always keep an eye open for the basic pathognomonic findings of diseases. We report a case of cholinergic urticaria (CU) associated with systemic manifestations, in the form of syncope. A 21-year-old female patient, suffering for 14 years, triggers being strong emotional reactions, foul smell, and sunlight. She was diagnosed after a thorough history and extensive literature search as systemic symptoms are not usually suspected in the spectrum of CU. She was effectively managed with nonsedating antihistamines. This is a case of a 30-year-old female who presented with a recent 4-week history of fever with an underlying chronic illness for the last 6 years for which she got evaluated multiple times and received long treatments but did not get relieved. This time, she presented with high-grade fever and palpitation. Electrocardiogram was suggestive of supraventricular tachycardia which was immediately reverted with intravenous adenosine. She was transferred to the Intensive Care Unit for suspected sepsis. However, after a thorough diagnostic microbiologic, serologic, and immunologic workup, she was diagnosed with adult-onset Still's disease (AOSD) and was managed with steroids and responded well to treatment. AOSD is a rare condition which could present with a variety of clinical features resembling sepsis.